October 21, 2013 - BioSculpture Technology establishes the Obesity Control Research and Development Division. The Division will consolidate and expand current efforts to develop improved methods and devices for the treatment of obesity, metabolic syndrome, and type 2 Diabetes mellitus. 2/3 of affluent populations are overweight and 1/3 are frankly obese. 43% of Developed World is forecast to be obese in 10 years. 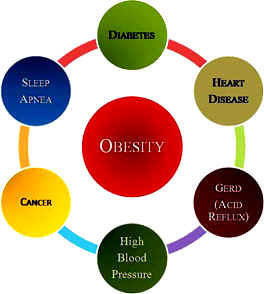 Obesity related chronic diseases account for 75% of overall healthcare spending. Those diseases include type 2 Diabetes Mellitus, hypertension, heart disease, gastric reflux, sleep apnea, autoimmune diseases and cancer. Those diseases don't just shorten lives, they reduce the quality of life. 80% of Type II Diabetics are obese. 1 out of 5 healthcare dollars is spent on Diabetes mellitus. Diabetes is the most frequent cause of kidney failure requiring dialysis and a frequent cause of blindness. Already embarked on the goal of developing alternative bariatric treatments of obesity, metabolic syndrome and type II Diabetes mellitus, BioSculpture Technology has had three U.S. Patents allowed and has numerous U.S. and foreign Applications pending in this area.